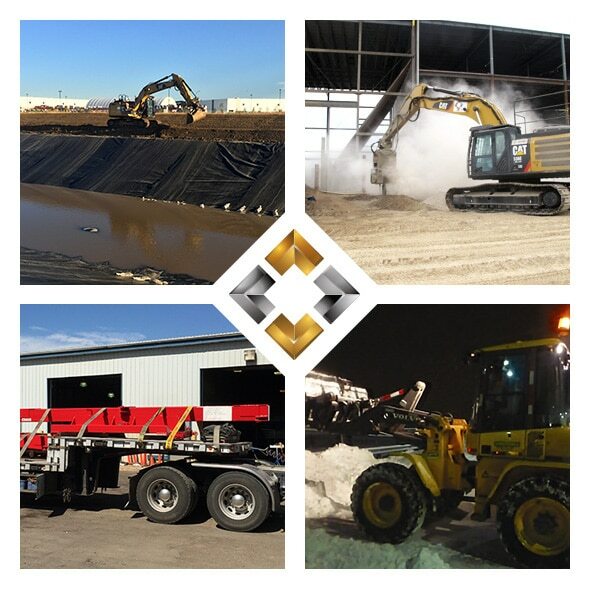 Welcome and thank you for visiting our website and the team here at Fourpoint Industrial Services Inc. We are a privately owned and operated Alberta based corporation located in Edmonton, Alberta with deep roots serving the industrial sector of Western Canada. Fourpoint Industrial Services Inc. was incorporated in 2013 as a result of a reintroduction into the industry by our principals. In March of 2016, we teamed up with a very experienced team of foundations professionals and launched our new foundations division. As a result, our team now offers greater diversity in satisfying the ever growing requests of our clients. Civil Earthworks, Foundations Installation, and the provision of both Equipment and Common Services round out our ability to add value to the team environment of every project. Welding to CSA Standard W47.1 “Certification of Companies for the Fusion Welding of Steel “, we have a reviewed and qualified process meeting all requirements related to that Standard as part of our QA /QC Program. A dedicated team of hands on management brings decades of skill, learning and commitment to each and every project. Our extensive range of services and quality completion of projects in a safe, reliable manner have enabled us to successfully add to our solid foundation of industry relationships. Striving to continually improve on our process, we deliver ever increasing quality of service and solutions, which consistently helps to ensure that we keep pace with the dynamics of change demanded by our industry. We listen and respond to the needs of our clients. We understand that to grow our corporation, we must listen carefully to the needs of our Clients. Being clear and confirming what is expected provides us the direction to perform well and deliver. Utilizing the skills, focus and certifications of our team ensures that we provide quality products and service in an ever more demanding industrial market. We arrive at the finish line for each project by being accountable for safe, quality deliverables and goals. We measure our effectiveness and strive to make improvements on a continual basis. We treat our obligations to our team, our clients and the community seriously, with respect. The Fourpoint team, our brand, our people and our services are what we stand behind. Every Day. Proudly. Our reputation matters and we have earned it.